Two opportunities to get away. 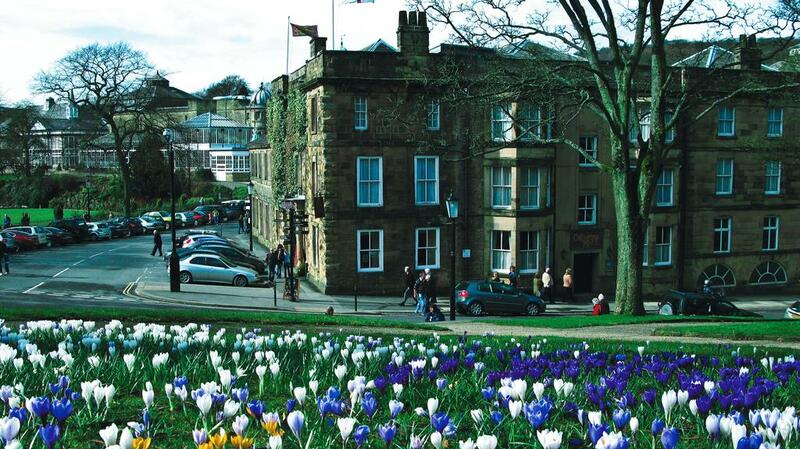 The LFA October weekend in Buxton still has places available see details here please contact David Hinds before end of April if you would like to go along. Another purveyor of refreshments inviting us to give them a try. Not suitable for a large group to descend and not an area likely to attract a large group walk from LFA but could be worth a try if you are out this way. We’re really pleased to announce that Cafe Allez! 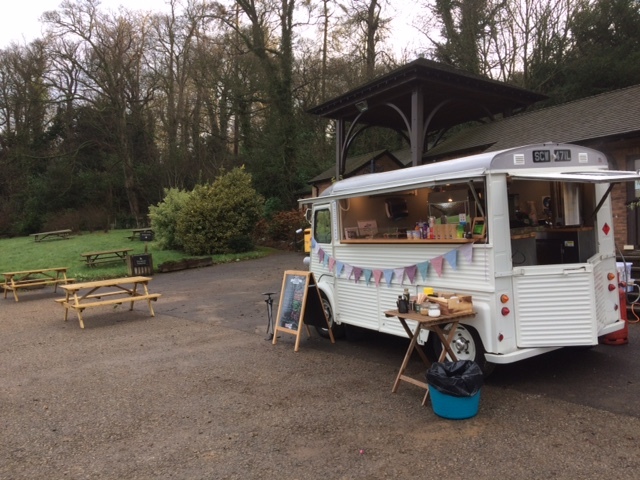 has launched a pop-up café service at the Belvoir Castle visitor car park, from Van Henri, our Citroen HY van. This will run most weekends – and weekdays when the castle is open to the public – with kind permission from the Belvoir Castle team. I think that we have the prime location in the Vale of Belvoir, with stunning views down into the Vale and great routes out to us. We will serve barista coffees of the highest quality, along with teas, cakes, hot chocolates, and home-made flapjacks with no butter or sugar (subject to availability). As you’ll appreciate, we make each drink to order so whilst we’ll serve all as quickly as we can, there will be a wait if a large group arrives en masse! Hopefully see you soon – and spread the word! 1874 Established to make labels for Queen Victoria’s gardens at Sandringham. c.1963 The Royal Label Factory moved to Chipping Norton, where it provided a ‘Design & Build’ service for traffic signs and street furniture for construction companies all over the UK as well as for a large number of local authorities, including their core client, Oxfordshire County Council. 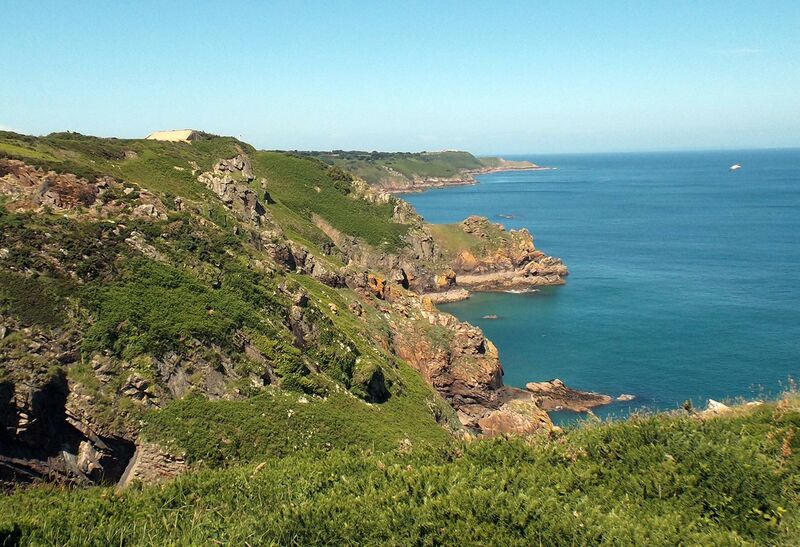 Start your New Year’s walk from The Nags Head in Stapleton! • Walker’s lunch-time special – 2 meals for only £12! Let us know when you’re coming – we will open for you! After an icy walk by 25 hardy members a total of about 60 LFA members joined in a Christmas Lunch, organised by Rick, at The Shires Peatling Magna. Festive head gear and jumpers helped make it a happy social occasion. 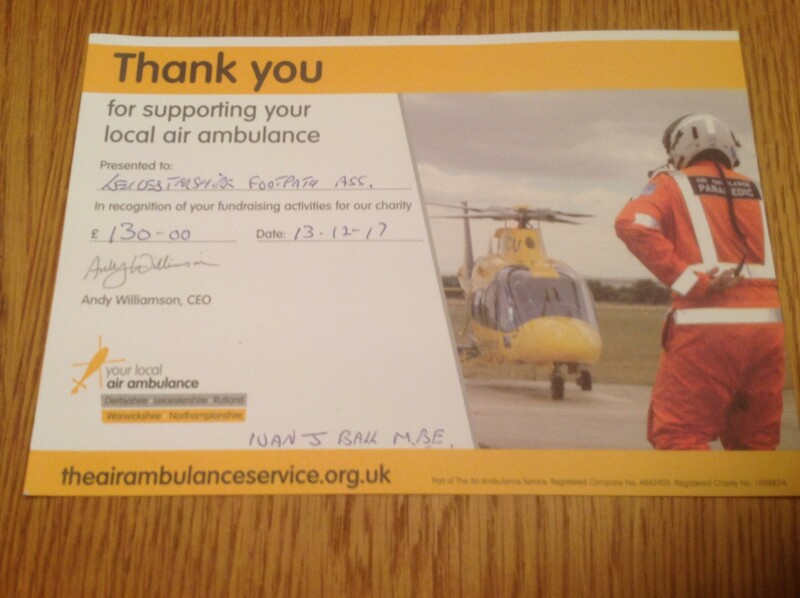 As usual, a collection was made for the Air Ambulance Charity with an excellent result of £130. See the Thank you receipt. Because of closed roads approach Ashby Folville from South Croxton . Note: no direct access from Twyford or Gaddesby. A reprint of the LFA’s 1904 map is now available for viewing online. 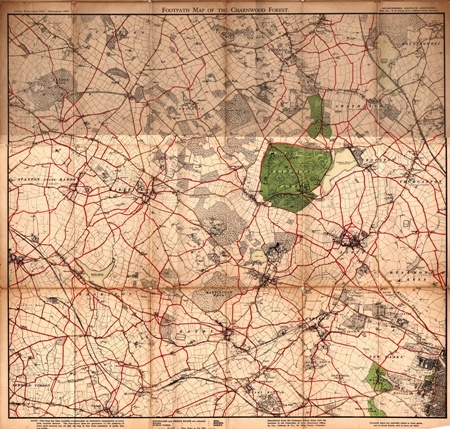 “In 1895 the committee were instructed to consider the possibility of publishing a map of footpaths within a radius of eight miles of Leicester. This resulted in the issue of our footpath map in 1904 (link to map page), which has been instrumental of keeping open many paths which otherwise would have been lost. The work in carrying out this was immense, and the care taken such that there have since been very few disputes about the maps marked. 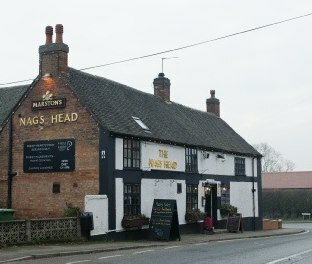 A popular pub with members of the Leicestershire Footpath Association is the General Elliott at Willoughby Waterleys. 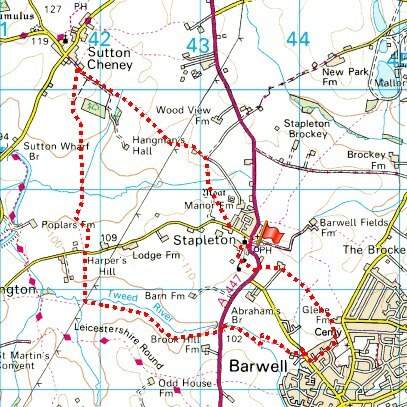 There are some good walks in the area and the Leicestershire Round passes through the village. 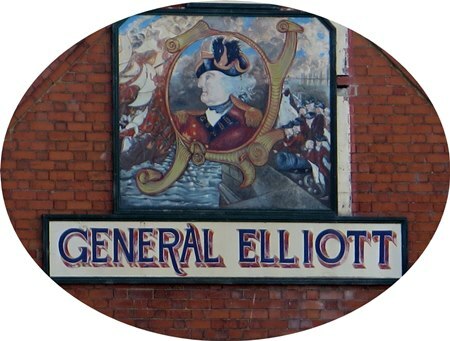 Who was this General Elliott and why does he have a pub named after him? There are numerous pubs named the Marquis of Granby (the title used by the eldest son of the Dukes of Rutland). It is said that some time back because a Marquis gave a helping hand to men from his regiment to set up a public house, in appreciation they named the house after the benefactor. A similar story may have been lost to explain General Elliott because there are again many pubs across the country with the name but also what isn’t explained is why most pubs are General Elliott when the family named is spelt Eliott? The National Portrait Gallery says “George Augustus Eliott, 1st Baron Heathfield (1717-1790), General; defender of Gibraltar Sitter in 14 portraits. The army officer George Eliott served with distinction during the Seven Years War. He fought in a series of battles in Germany between 1759 and 1761 before participating in the capture of Havana, Cuba in 1762. Eliott later served as the Governor of Gibraltar and was renowned for withstanding a sustained assault by French and Spanish forces during the Siege of Gibraltar from 1779 to 1783.